(November 21, 2012): On November 15th, the Department of Health and Human Services, Office of Inspector General (OIG) issued a report on Medicaid personal care services entitled “Personal Care Services, Trends, Vulnerabilities, and Recommendations for Improvement – a Portfolio”, Report No. OIG-12-12-01 (Report). The Report purports to synthesize a number of prior reports and makes recommendations to improve program vulnerabilities that OIG has detected in its prior audits, evaluations and inspections of personal care services (PCS). The OIG indicates that it has previously found significant and persistence compliance, payment and fraud vulnerabilities. It also emphasizes the seriousness of its concerns by noting that Medicaid costs for PCS’s increased 35% from 2005 to 2011. Specifically, OIG notes that it has produced 23 audit and evaluation reports from 2006 through 2012 focusing on PCS’s. Increasing concern over fraud in the delivery of PCS including conspiracies between beneficiaries and PCS attendants to submit claims for services not provided or not covered, with a special concern over self-directed services. Although not mentioned in the report, there have been recent reports of convictions for other types of fraud involving kickback arrangements. 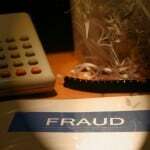 In this regard, OIG noted that as of 2010, state Medicaid Fraud Control Units (MFCUs) had more open investigations of PCS fraud than any other type of services – more than 1,000 investigations nationwide. The Report also makes a number of recommendations to CMS for revising requirements for PCS’s that include more standardized regulation of qualifications, expanding federal requirements and guidance, more sharing of data , and other modifications. CMS agreed with one of the recommendations – better sharing of data suitable for identifying overpayments, while either rejecting or providing qualified acceptance of others. II. What Should Personal Care Services Providers Do? The real takeaway for providers of these services is an understanding that these services are coming under increasing scrutiny and State and Federal oversight – especially from State Medicaid auditors, MFCUs, and US Attorneys’ offices. As such, providers should familiarize themselves with the findings and recommendations of the Report, CMS’ responses, and recent reported cases of convictions or settlements. It is critical that they develop or ensure that their own compliance programs, including internal and external audits and service monitoring processes incorporate those findings and protect against the conduct that has drawn scrutiny. Liles Parker attorneys have had considerable experience and success in representing PCS providers. Our team has successfully worked to assist PCS providers in obtaining favorable decisions that exempted several PCS’ from being required to obtain CONs as a condition of retaining their licenses, Medicaid coverage issues, and eliminating entirely provider liability for a major audit disallowance. Additionally, Liles Parker attorneys have significant experience in assisting providers in establishing and auditing effective compliance plans and programs. Anyone seeking further assistance in this area should contact Michael Cook at 202-298-8750.